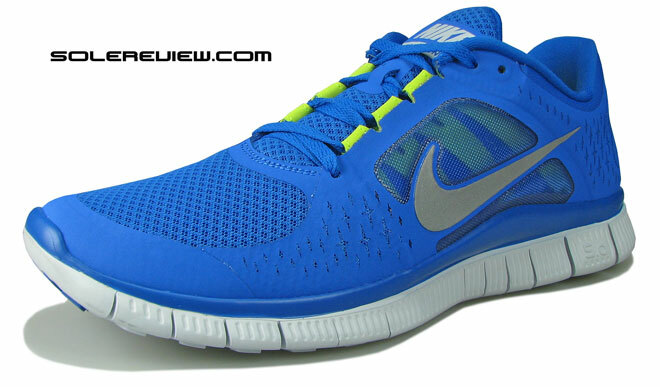 NOTE #1: Read the review for the latest 2014 Nike Free 5.0 here. Intended use: Foot conditioning, tempo runs. Suitable for midfoot/forefoot strikers. From a performance standpoint, this shoe is as good as last year's Nike Free Run 2 it replaces, with high scores in midfoot support and ventilation. Nike releases the newest version of the popular Free Run into a market getting increasingly crowded with minimalist running shoes. Does it deliver? This is our first review of a shoe from the Nike Free family, so we’ll spend sometime on the background of the concept and its evolution over the last few years. By Nike’s own admission, the early insights for the original 2005 Nike Free came from conversations with Vin Lananna, a track coach with Stanford university. During one of the meetings, Vin mentioned that he had his athletes run barefoot on grass to naturally strengthen the foot muscles, thus minimizing the risk of injuries. Armed with this new found insight, Nike went back to the drawing board in an attempt to find out how they could get the ‘less-is-good-shoe’ concept to life. After months of tinkering around with bio-mechanical tests, Nike eventually came up with a radical outsole geometry which had one objective – make the shoe flexible enough to allow a more natural gait management, working out the foot muscles in the process. In a radical departure from convention, the traditional running shoe was stripped of its chunky midsole and outsole, and in its place came an outsole with extremely deep siping (deep grooves) across and along the length of the sole. I remember the first time I got into a pair of Nike Free’s at the Niketown in Boston in 2005 – they had trial pairs with a treadmill to test them on, and after ten minutes, I wondered if the concept was ever going to catch on mainstream. That’s how different these shoes felt at the time. A few years later, a friend gave me a new pair of grey Nike Free 7.0’s and I ran in them till the upper came apart! Digressing slightly, the Vibram five fingers shoe made its debut in the same year Nike Free did, though the approach by both the brands to providing a minimalist running experience were completely different, which eventually reflected in how the final product came to life. The 2012 Nike Free Run+ 3 outsole: It carries forward the now so familiar design unique to the Nike Free. 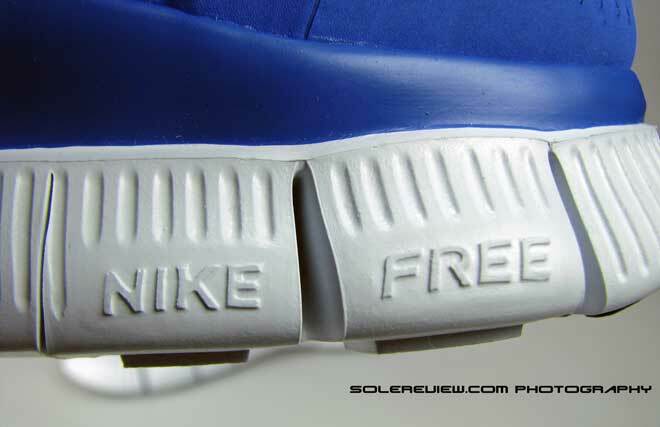 The biggest differentiator in the Nike Free is its outsole. Instead of a layer of rubber covering the outsole surface, Nike Free uses a hard wearing foam unit with outrageously generous siping or grooves across the length and breadth of the surface, priortizing flexibility and natural gait management over everything else. Small pieces of rubber are overlaid in the heel and toe-off area, adding an element of zonal durability. The shoes from the Free pack are further segmented on a scale of 1-10, 1 being running barefoot and 10 being a conventional running shoe with all the bells and whistles. In 2005, when Nike released the original Free, they were unsure of how people would react to this radically new concept, so the first Free was a 5.0, a shoe which sat midway between running barefoot and a traditional running shoe. Over the years, Nike added the Nike 3.0, 4.0, 5.0 and the 7.0. This summer though, Nike focuses only on the 3.0, 4.0 and 5.0. While the reasons are unclear for doing that, we’d have preferred a 3.0, 5.0 and the 7.0 since that allows for better segmentation. The Nike Free ratings on a scale of 1-10: A chart which explains the 3.0, 4.0, and 5.0 suffix. The 2011 Nike Free Run 2: One of Nike’s most popular Free shoes. The shoe combined the 5.0 outsole with great upper aesthetics and fit. 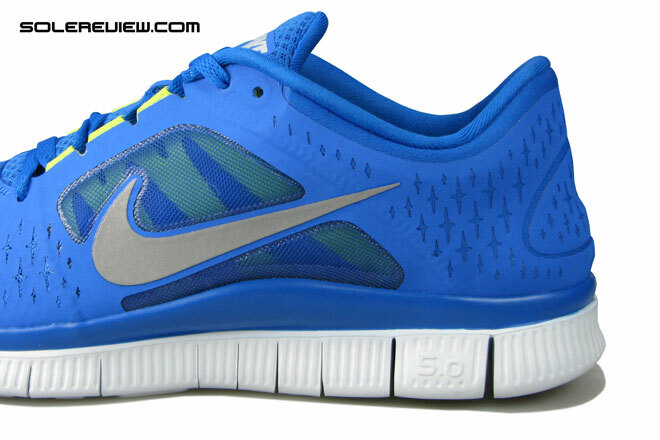 This year’s Nike Free Run 3 is a brand new shoe built from scratch, with significant design updates to the upper. While the new upper builds on the overall minimalist concept which Nike Free shoes are known for, there are two major changes in the upper construction when compared to last year’s Free Run 2. First, the new Nike Free ditches the bootie (sock) construction in favor of a traditional separate-tongue-upper-laceloop set-up. Second, the shoe integrates Nike’s ‘dynamic fit’ concept into its upper design, using internal midfoot straps last seen on the Lunareclipse. In addition to the two updates I mentioned, the Nike Free Run 3 uses a lot of fused/no-sew components, taking advantage of latest manufacturing technologies meant to reduce weight, while improving fit, flexibility and ventilation. Let’s run over these changes in more detail. 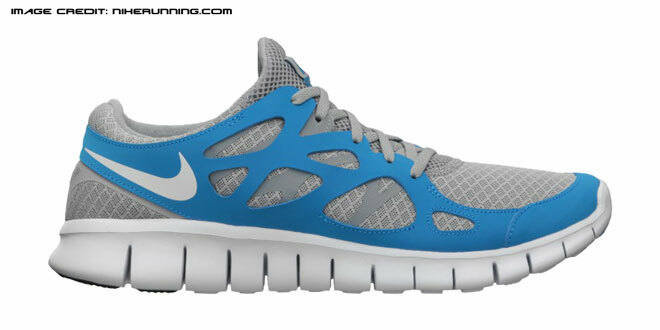 The new Nike Free 5.0 adopts a traditional upper construction, and separates the tongue from collar (opening) area. I thought this would make a noticeable difference in the fit vs. the bootie construction Free Run 2, but it doesn’t. The shoes fits just as well, if not better, than last year’s version. And while tongue is not attached to the upper on the side, it is held securely in place by a laceloop and doesn’t move while in motion. The tongue has minimal foam padding, and sits well on the foot. One area which has undergone a major revision is the collar area. The heel area in the upper feels less supportive relative to last year’s Free Run 2, which had robust padding and a fused-on component and an overlay which extended from the midfoot and wrapped around the heel area. 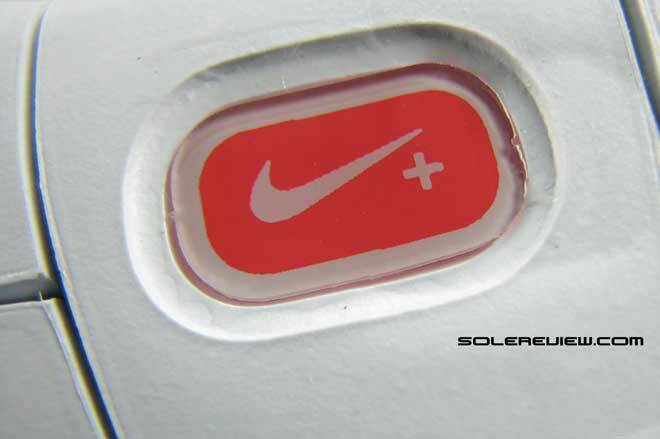 The picture above has the sockliner removed – you can see the slot for the Nike Plus transmitter. The red area is the foam insole attached to the upper, and this sits below the molded sockliner. The new in Nike Free Run 3: Internal ‘Dynamic fit’ straps wrap around the midfoot and integrates with the lacing system. While last year’s Nike Free Run 2 provided midfoot support through fused-on components on the upper, the new Nike Free Run 3 does that through a pair of internal straps (see the green strap beneath the mesh). One end of the strap is attached to the upper and then straps loop back into the shoe, allowing for a custom midfoot fit through lacing pressure. During our weartest sessions, it delivered efficient midfoot lockdown, similar in feel to the Lunarglide and Eclipse . As a visual element, the straps standout as one of the key features, visible beneath the ventilated air mesh and reflective Nike swoosh logo. A big new in the Free Run 3, is the use of what Nike calls the ‘Nanoply’ upper. 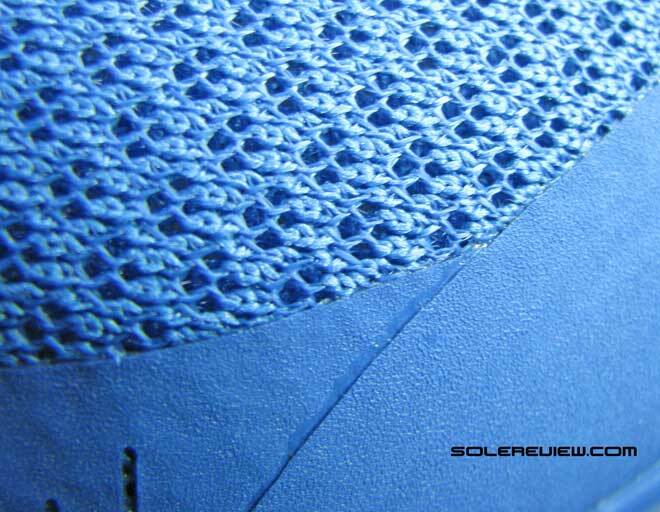 In layman speak, a thin layer of synthetic leather is fused over the underlying mesh, with laser cut perforations or openings distributed over its surface. This helps in improving ventilation, weight reduction and flexibility. Athletic footwear brands have been using ‘no-sew’ technology for sometime now, but lately newer materials and manufacturing processes has worked its way in for the better. The Nanoply material is thinner than conventional synthetic leather (which normally go around 1.2 mm thick), so it helps to achieve a much better fit and feel without sacrificing on support. The Nike Free Run 3 carries over the off-center lacing position from its previous versions. While the lacing tilted to one side looks unusual, the design is meant to ease the pressure on the foot under tight lacing pressure. The florescent green laces highlight the internal midfoot straps – since the loops are connected to a larger components, there’s enough room inside them to get the laces through without breaking a sweat. If you have ever struggled to pass the laces through super narrow lace loops, you’ll now what we’re talking about. 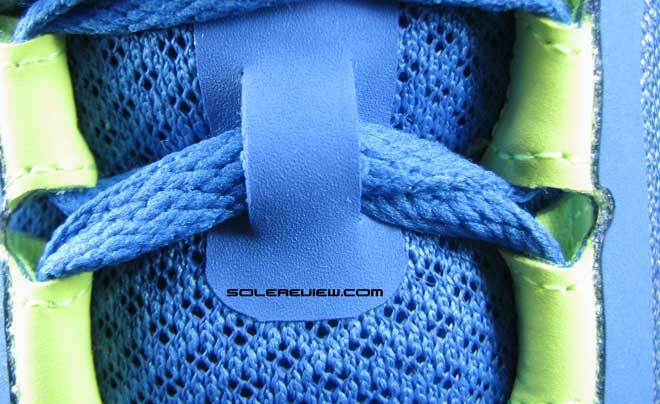 The new Nike Free Run 3 uses a Ortholite branded sockliner instead of the standard molded unit. The material is a single layer of soft, pliable foam with the an open cell structure, and avoids any layering or support in the arch area. It has uniform thickness throughout, and it flares up around the arch area, padding the inner side of the shoe. 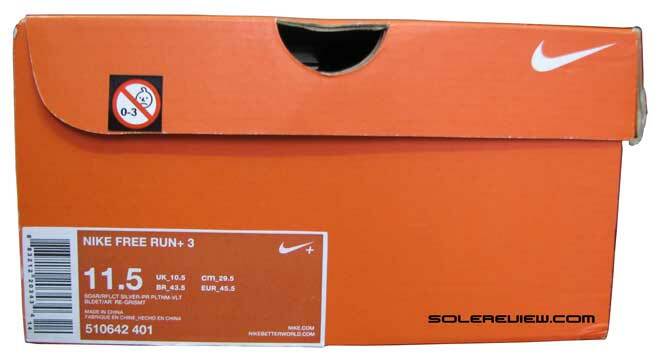 The cloth over the insole is standard Nike issue – lightweight polyester, with the Nike Free and Plus call outs printed on its surface. Does it feel significantly better than a regular insole? Well, while it feels soft the first time one tries them on, the difference is not noticeable. Once you start running in them, you barely feel the insole. It is probably meant to be like that, non-interfering and subtle, adding to the minimalist running experience. Ortholite sockliner: A soft open cell compound sockliner, which results in better feel. 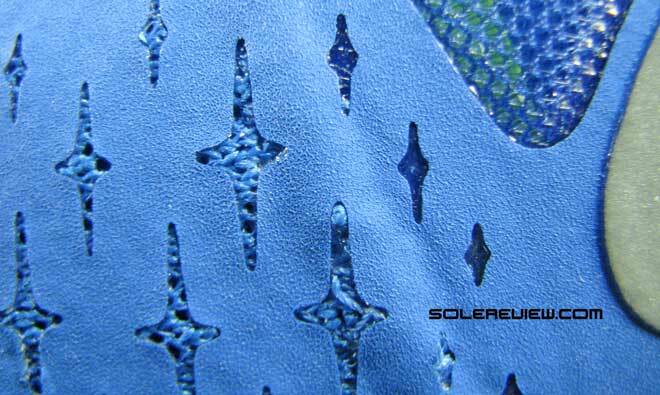 The outsole is a brand new design, yet the changes are not dramatic, only small evolutionary tweaks. 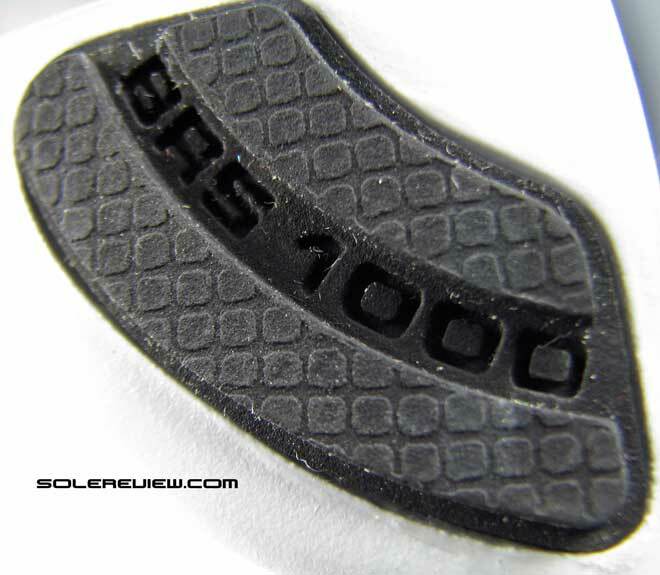 Carried over is the extravagantly flexible design with deep flex grooves, use of carbon rubber(called BRS1000 by Nike)pods in high wear areas, and the Nike Plus logo insert right in the center. There have been design changes in the position of some outsole lugs, the midfoot area looks slightly more toned down and flat. But viewed from the sides the new outsole design appears sleeker, having lost some flab in the re-design process. Here are a few things you should know if you are looking to buy your first pair of Nike Free’s. The Nike Free is a minimalist running shoe, focusing on removing unnecessary layers over your foot. This means that the shoe comes sans the heavy heel cushioning, molded pronation devices and luxuriously padded upper. The midfoot area sits flush with the running surface, in contrast to a regular running shoe with a concavity in the mid-section. The outsole is extremely flexible, which makes your forefoot muscle work harder. When running for in a pair of Nike Free for the first time, one experiences the sensation of the forefoot flexing more than what it would in a regular running shoe. The Nike Free Run maintains a heel to toe offset of 8mm (21mm heel/ 13mm toe), so there is relatively less toe spring in the front, making the foot work harder to achieve toe off. With the increased forefoot flex while lift-off comes more stress on the calf muscles, so it is not uncommon to experience a numb pain in the foot and calves for the first few days. Not unlike the soreness which follows your first day at the gym which disappears after your muscles get accustomed to the training regime. If acceleration and tempo is your running game, you’d love the Nike Free. The way we look at it, a pair of minimalist running shoes is a cheaper alternative for racing flats for non-competitive runs, while lasting much longer. Similar to racing flats, the Nike Free’s are incredibly light – the Nike Free Run 3 weighs in at 268 gms/9.5 ounces, which is at least 30% lighter than conventional running shoes. That’s a lot of less weight you’re lugging around during a run. We’d also like to call out that the traditional heel-to-toe rubber outsole is replaced by the foam midsole in all Nike Free shoes. While it might appear fragile to someone used to traditional running shoes, we can vouch that they are extremely hard wearing. 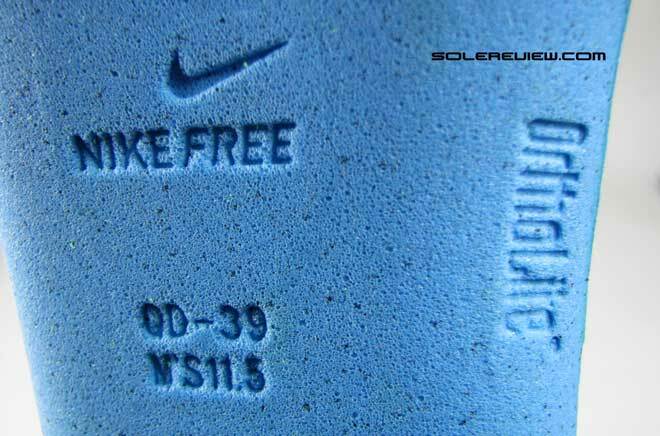 I had a pair of Nike Free which I put close to 500 road miles on, and the foam outsole held up very well, showing no more wear than would a regular rubber outsole. For old timers who are used to running in Nike Free’s, the new version is a progressive evolution of the Free Run franchise. 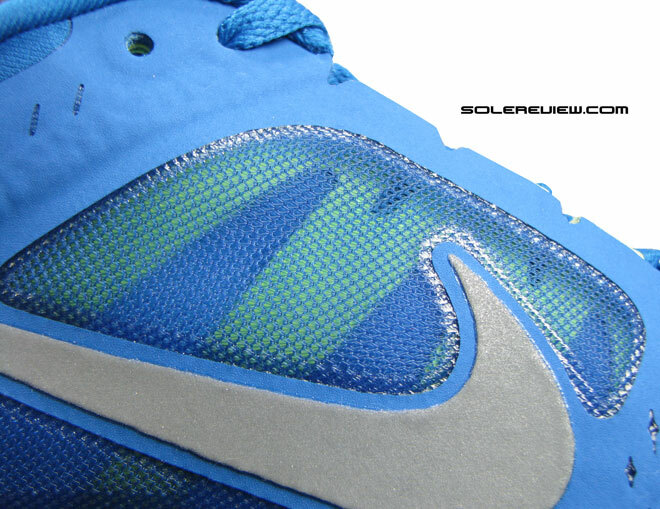 Most of the changes on the new shoe happen upwards of the outsole. The new midfoot support system is functionally effective, and the shoe is superbly ventilated. The see-thru mesh in the midfoot area is breathable, and so are the perforations in the paper thin layer fused to the mesh. The collar area is spartan, with the reduced padding and heel support. While we haven’t experienced heel slippage while running, we’ll be back with an update after putting more miles on the shoe. The outsole design has undergone a design refresh, but from a functional perspective, there isn’t much of a difference between the old and the new – but what’s important the Nike Free Run 3 continues to provide excellent forefoot flexibility and gait transition in a lightweight, breathable package. But if you’re used to the Nike Free Run and want to move a step up in the minimalist shoe game, there’s the new Nike Free 3.0 for you. 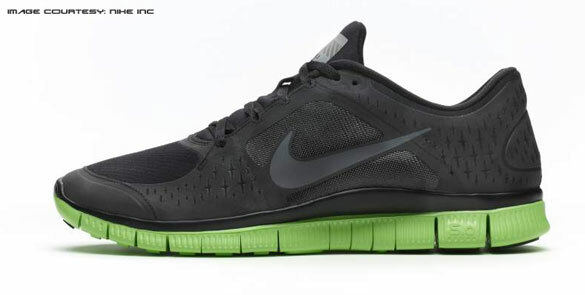 A brilliant design update – read our review on the 2012 Nike Free 3.0 ! 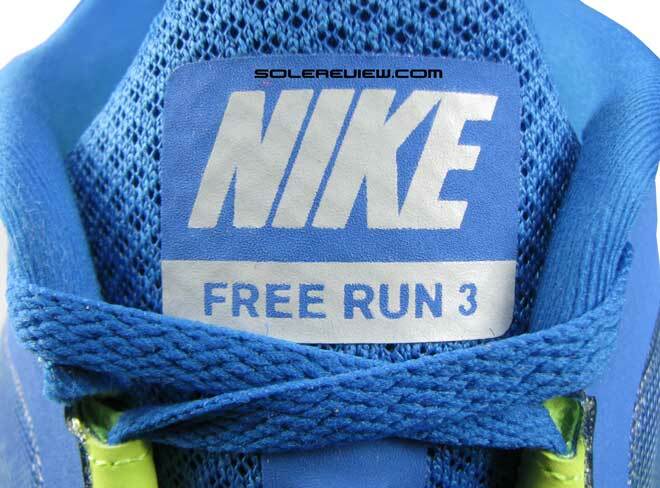 Overall, we rate the Nike Free Run 3 as a worthy update to the Free Run 2. The upper is roomy, accommodating a variety of foot types, with lot of vents to let the breeze in. 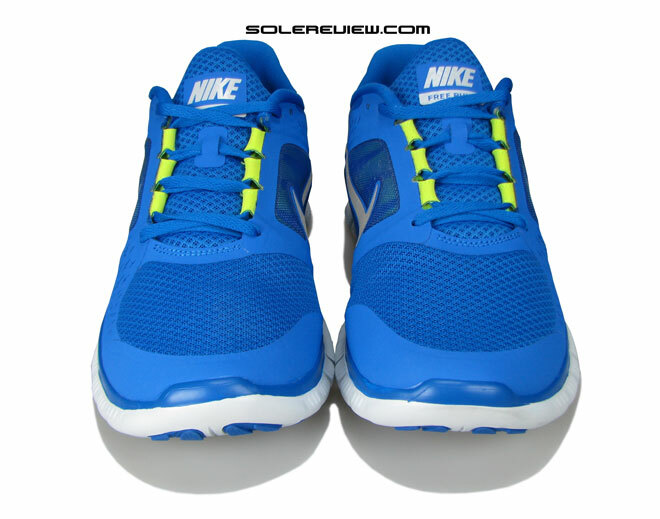 The outsole is typical Nike Free, very flexible throughout, with a large contact area for stability. If we had to nitpick, it’d be two things – the collar/heel area grip does not inspire confidence due to lack of adequate padding and heel support, and the shoe could do with a little more reflective details for low light conditions. Other than that, a great shoe which lives up to its promise of delivering a minimalist running experience. In continuation to last year’s release of the Shield Pack, Nike released the new Shield pack for 2012’s Holiday (Oct -Dec) season – with a winterized version of the Nike Free Run 3 included. Built on the same base as the Free Run 3 from this summer’s intro, the Shield version features a water resistant (not proof) upper, with abundance of reflectivity. While it works to keep you warm and relatively dry in damp and cold weather, this shoe will run warm when you’re running in sunshine. But overall, a good addition to the Nike Free line for runners who are not so fortunate when it comes to sunshine.